Both of my boys love books. There’s nothing cuter than when my big guy calls over my younger son and has him sit down so he can read a story to him. We have a ton of different types of books in our house – from picture books for my youngest, to chapter books for my oldest who is now reading on his own. You can find books in almost every room in our house and I do my best to try to keep them tidy and under control. 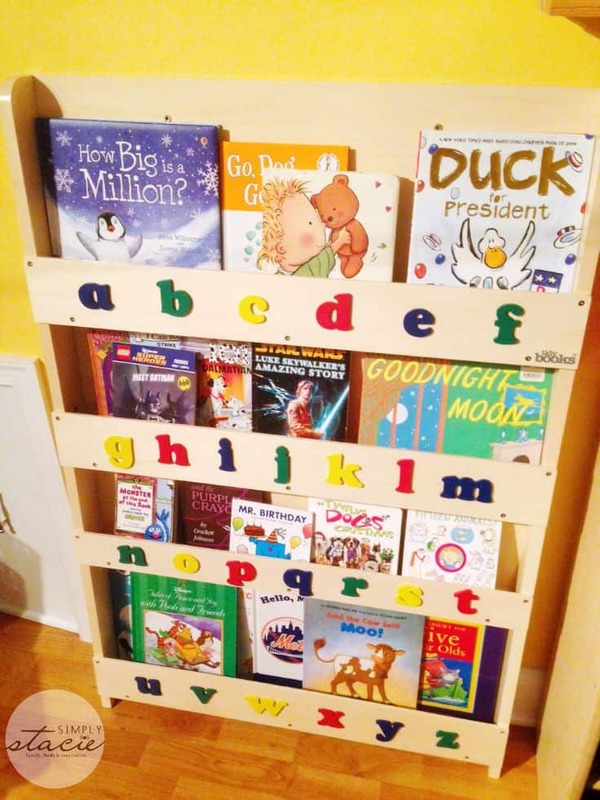 We have several bookcases in our house that work great for me and my husband, but for the kids, nothing compares to the one we received from Tidy Books. 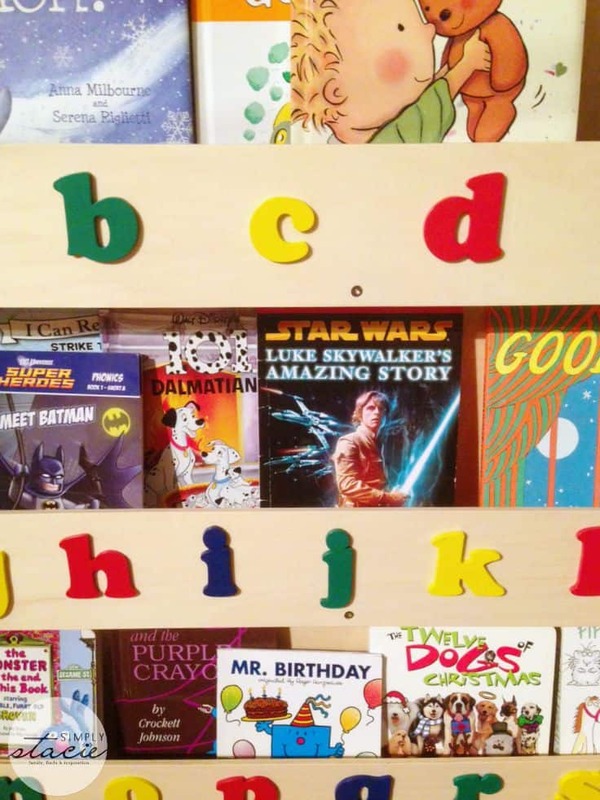 Tidy Books sent us their Tidy Books Kid’s Bookcase in natural, with lowercase letters. This bookcase is sturdy and very well made. I’m impressed with the materials and the craftsmanship of this piece. My husband was able to put it together rather quickly once we received it. My boys were ecstatic to have a bookcase of their own that really fit their needs – they’re able to see all the books they have and access them easily and quickly. Don’t be fooled by the slim profile – this bookcase can hold a ton of books and with the covers facing out, your kids will be able to see everything they have and will be able to easily pick out and put back their books. Fastened to the wall in our playroom, this bookcase is the perfect fit my my kids and for me – practical and fun! At $189, this is a great investment piece that will grow with your children and will always be in use! There are other great reasons to love the Tidy Books Bookcase as well – they are made from wood from sustainable sources, uses eco friendly water lacquer, and each piece undergoes strict quality control before being sold. The Tidy Books story began in 2004 when founder and designer Geraldine Grandidier designed her very first bookcase for her daughter. The idea for the Tidy Books bookcase was born when she realized that all the bookcases on the market were made for adults – even the ones marketed for children. All the bookcases she found only allowed the spines to show – making it difficult for children to see and choose books. From there,the Tidy Books story grew with even more innovative products, including The Tidy Books Bunk Bed Buddy, The Tidy Books Baby Buddy, and The Tidy Books Box. To learn more about Tidy Books, visit their website. I’d like the Family Organizer and Note board. I heart the Family Organizer and Note boards! I would like the Family Organizer and Note board – The Tidy Books ForgetMeNot. I like the Natural Family Organizer and Note Board. I could use the family organizer and noteboard. The tidy book box is so cute! I LIKE THE BOOK BOX IN BLUE. I like the Natural style Family Organizer and Note Board. I like The Tidy Bunk Bed Buddy in blue. The The Tidy Books ForgetMeNot is so cute & would help organize my girl’s room. Such neat stuff! The Tidy Books Box Blue for my child! I like the family organizer and note board. I also love the Family Organizer and Note Board! The Family Organizer and Note Board would be useful. I would say Bunk Bed Storage | The Bunk Bed Buddy. I think that the The Tidy Books ForgetMeNot is nice. I love the The Tidy Books Baby Buddy! 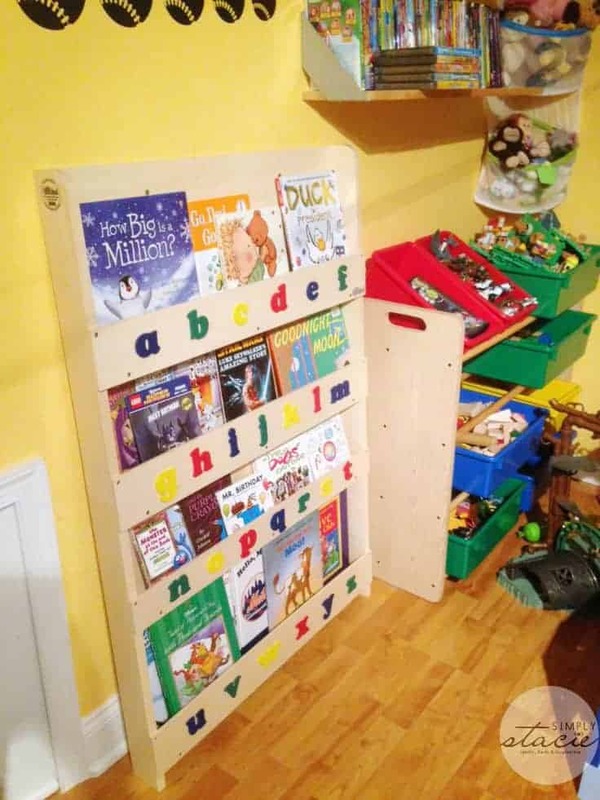 I like the Children’s Book Storage | TheTidy Books Box.in Natural. I would love to have the Family Organizer! I love the family organizer and noteboard! It’s pretty adorable! I also love that little bookcase with the clock on the side! We have piles of books everywere!! This would be so perfect for my little guys books!! Thanks so much for the opportunity! this is adorable! id love this for my kids! the natural bunk bed storage would be so great too! The ‘Around the World’ Bunk Bed Buddy – Bunk bed storage Special Edition looks very nice! This would be absolutely perfect for my little girls room, she would also love the The Tidy Books ForgetMeNot .